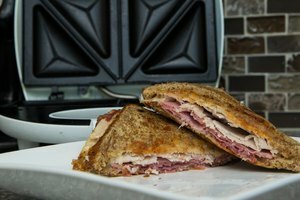 Sandwich makers were never intended to replace your toaster and skillet, but their dual cooking surfaces make preparing simple, two- or three-ingredient sandwiches a lot faster than using the stove. 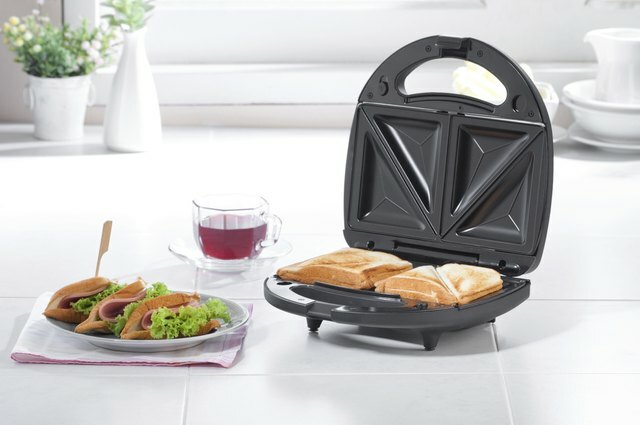 Grilled cheeses, hot-ham-and-cheese sandwiches and even rubens go from prep table to dinner table in under six minutes, and the nonstick cooking surfaces make cleanup a breeze. 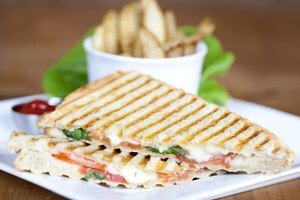 There aren't many rules to using a sandwich maker, but only use sandwich ingredients you want to serve hot; add cold ingredients after cooking. 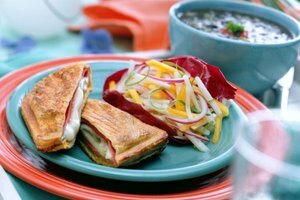 Clean the cooking surfaces of the sandwich maker using a moist cloth. Spread a thin layer of vegetable oil on the sandwich maker's cooking surfaces. Plug the sandwich maker in and close it. 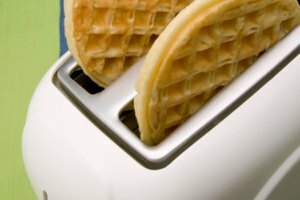 The sandwich maker will preheat automatically. Place the sandwich on the bottom cooking surface when the indicator light illuminates green. Close the sandwich maker lid over it and secure the lock. Cook the sandwich for 3 to 6 minutes; 3 to 4 minutes lightly toasts the bread, 4 to 5 minutes moderately toasts the bread and 5 to 6 minutes gives the bread a dark golden-brown color. Open the sandwich maker and remove the sandwich using a spatula. Unplug the maker and allow it to cool completely, then wipe the cooking surfaces with a moist cloth to clean. Make dessert sandwiches in a sandwich maker by using a rich bread, such as brioche, and pie fillings, fresh fruits or jams for the filling. Yuliya Prilepina is a third-year English major at the University of California, Davis. Throughout her college career, she has crafted and submitted papers for various classes and has extensive experience in academic argumentative essay writing. As a writer with a commitment to crafting her work, Prilepina has a particular interest in learning to incorporate new styles into her writing.